This banana, kiwi, and cherry mandala is bursting with tropical flavors. A part of our Healthy eating mandala series, this banana, kiwi, and cherry mandala might encourage your child to have a vitamin-filled snack, and perhaps even a tropical smoothie! colour in this banana, kiwi, and cherry mandala with your healthy eater. 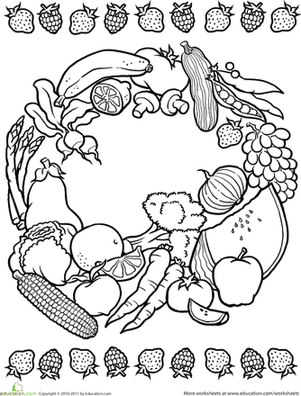 This coloring page features a mandala-inspired design of healthy fruits and veggies, all in need some colour. This pomegranate and orange mandala might inspire your child to do some healthy eating. colour in this pomegranate and orange mandala with your child. This pear, apple, and persimmon mandala just might encourage your child to eat a healthy snack. Add some colour to this pear, apple, and persimmon mandala. Colour in this berry mandala with your child. Colour this zucchini, green bean, and pumpkin mandala with your child. Kids will learn about healthy choices and have fun with this healthy eating mandala. Inspire your healthy eater with this orange, blackberry, and peach mandala. 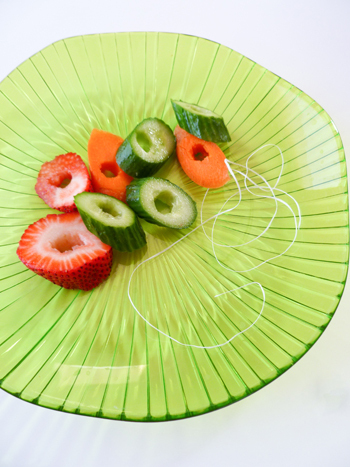 This mandala is fun to colour and might inspire your child to have a healthy snack. Colour this beautiful flower mandala with your child!